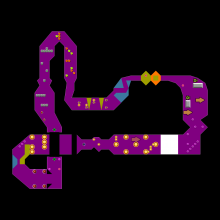 This is the third track of the Sploder Dash C series. And it's the International Sploder racetrack! Here, the lap system is introduced, requiring you to do 3 laps in this track.